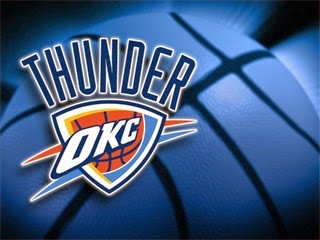 Oklahoma City Thunder leads Los Angeles Clippers in the ongoing NBA semifinals. Kevin Durant scored 36 points, Russel Westbrook added 23 and the Oklahoma City Thunder outplayed the Los Angeles Clippers in the fourth quarter for a 118-112 victory and a 2-1 lead in their Western Conference semi-final. Serge Ibaka added 20 points. Blake Griffin scored 34 points and Chris Paul contributed 21 points and 16 assists for the Clippers. Game 4 is on Sunday (Monday in the Philippines) at the Staples Center. The Thunder shots 56% and controlled the paint and fast break points against the Clippers team that never got into their run-and-gun mode.